It's been a while since I blogged, mostly because I have nothing much to say. I am buried in my room with my new cross-stitch, my half done red&white cowl, and my just cast-on sock. I've already frogged two other socks that I have begun, and I'm running out of both inspiration and patience. I feel antsy when I can't feel the smooth flow of creativity. Right now, my creativity is kinda like choppy waves, the ones that make you seasick and throw up overboard. So... 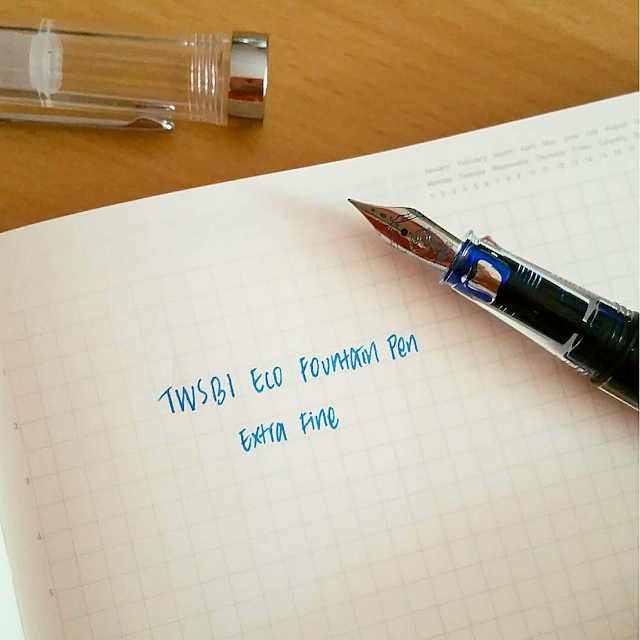 I've been seeing a lot of TWSBI fountain pens around, especially on stationery blogs. It doesn't look that fanciful to me, since I prefer my pens to be simple and sleek. Like LAMY. (I like it's simplicity!) But I have heard a lot about the quality of TWSBI Fountain Pens and I wanted to try it out. 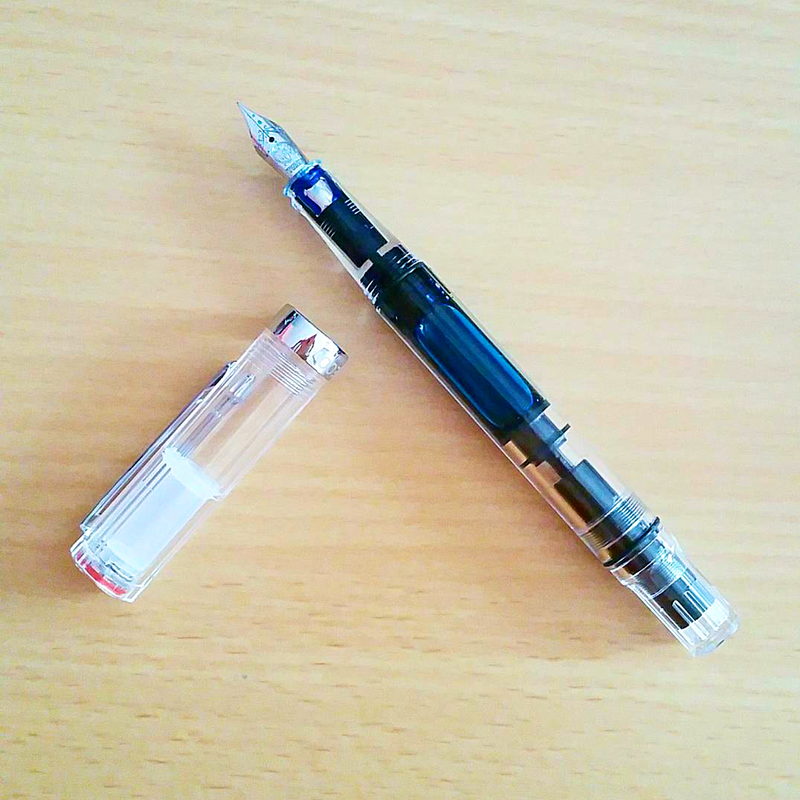 TWSBI Eco is the economic (i.e. cheaper) series so I thought it would be a great wait to try the brand out. The pen is nicely packaged, with nice instructions. I got the clear one, but there's a white one (which looks beautiful as well) and a black one. TWSBI Eco is a pen with a build-in piston, so you can just load up the pen with whatever ink you like! I really like this because I do not like to use ink cartridges, and getting converter with a fountain pen just seem like a hassle. The ink filled up quickly, although, oddly enough, it doesn't fill up the entire space in the pen, but around three-quarters? I thought it was odd but perhaps there is a technical reason for it- like something to do with vacuum and air and ink. The body of the pen is thicker than what I preferred but I can handle it fine. 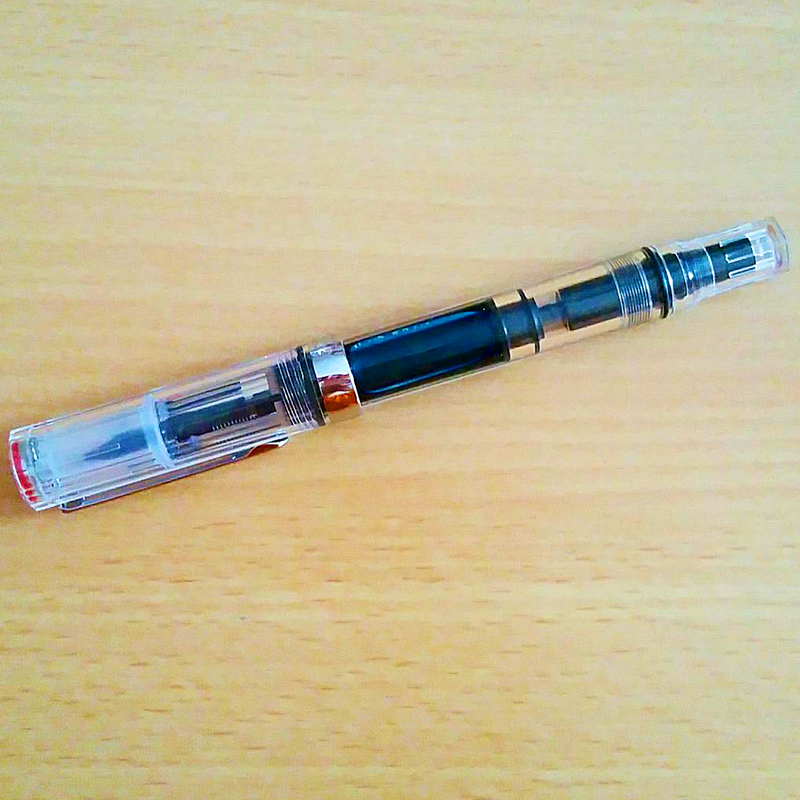 The pen cap is a screw-on, for better security, I guess, or to counter worries about ink leakage in bags or pockets. I do worry that I would accidentally twist the piston-knob at the end of the pen instead of holding the body when I am securing the cap, and get into a horrible ink accident! Hopefully it won't happen. I filled up the pen with my new Pilot Iroshizuku Ama-Iro, which is a brilliant sky blue. I chose the Extra Fine nib, as is my preferred choice, and it wrote beautifully. I enjoy watch the ink in the pen too. Can't wait to buy a shimmer ink and see what it is like when the pen is filled with shimmer inks instead! I've seen that on Instagram and they look beautiful! A full page of writing later and I realised that I do not like medium blue at all. It is too bright, making it hard on the eyes when I try to read the page again. No more bright medium blues for me. On a side note, My boyfriend just got me some copics from his trip to Japan! And a bunch of Frixon too! Ain't he the sweetest? I am a crafter. I love knitting, calligraphy, drawing, painting, reading, writing, and many other things. I am constantly practising and discovering and learning new things. Join me on my journey on Instagram @craftingwithjennifer.